Browsing articles tagged with " total hip replacement"
A Total Hip Replacement is a surgical procedure whereby the cartilage and bone of the hip joint is surgically replaced with artificial materials. The normal hip joint is a ball and socket joint. The socket is a “cup-shaped” bone of the pelvis called the acetabulum. The ball is the head of the thigh bone. 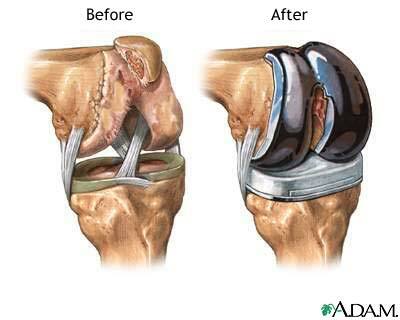 Total hip joint replacement involves surgical removal of the ball and socket and replacing them with a metal ball and stem inserted into the femur bone and an artificial plastic cup socket. 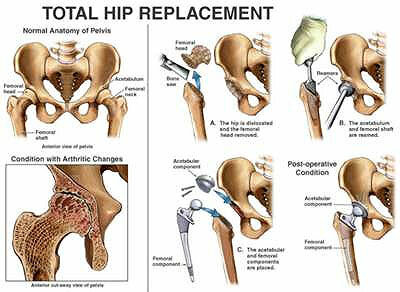 Is Total Hip Replacement for you?